Every year at Homecoming, Special Collections holds an open house. This year our open house yielded not one but two amazing photograph donations. Melinda Eager Poole (CC class of 1978) donated a scrapbook belonging to her grandfather, Leonard Prentice Eager. The scrapbook covers his freshman and sophomore years at CC, 1912-1914. 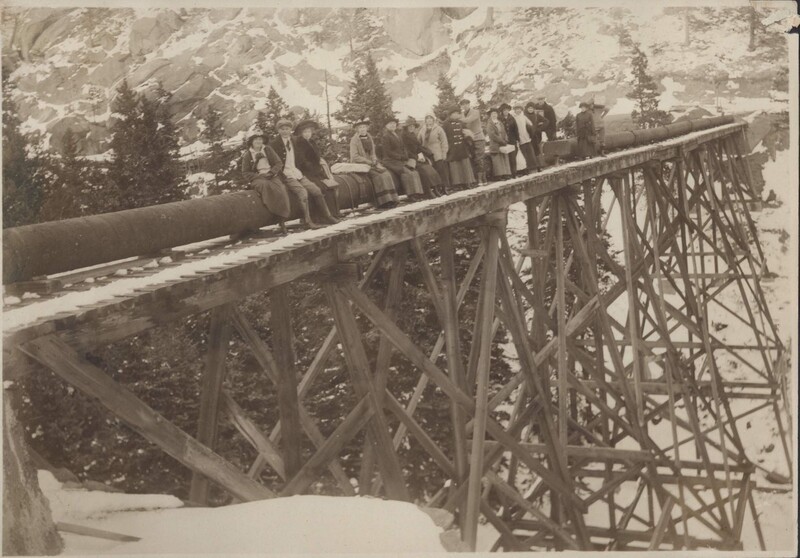 It’s full of photographs of CC students in outdoor areas around Colorado Springs, including this one showing a dozen or so people perched on a railroad bridge, possibly the Pikes Peak Cog Rail. Thank you, Melinda and David — you make my job easy and fun!